part of the Berlin Wall! 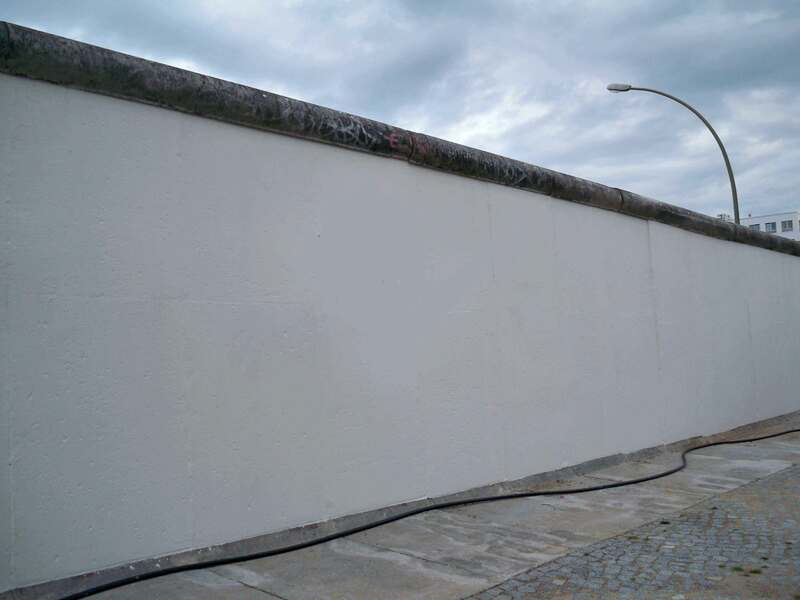 The longest remaining stretch of the Berlin Wall is the world's largest open air gallery, attracting millions of visitors from around the world since opening in 1990. Karin Kaper and Dirk Szuszies have accompanied many of the artists and followed the restoration and renovation in 2009 and all following events until today. They were the only film team in the world to do so. Private archive material from the artists from 1990 provide a fascinating retrospective. The documentation gives a multi-faceted insight into the overall history of the East Side Gallery. It also covers the current conflicts that threaten the survival of the monument which has been declared symbol of the peaceful revolution. In the film, artists from many countries make an unusual contribution to the reappraisal of the German-German division and the associated culture of commemoration. What does freedom mean to us and what is it worth?